Farm Sale-Vila de Pontével-12.5 hectares quinta to 200 meters from the village of Pontével, in the middle Ribatejo, 5 kilometers from the city of Cartaxo, 5 minutes from the toll of Aveiras of the Lisbon/Porto motorway, 15 minutes from the city of Santarém, 35 minutes from Lisbon and the 50 minutes from the beaches of the West (Peniche, Foz do Arelho, Lagoa de Óbidos, etc.). Considered one of the most enchanting and exclusive of the region, this Quinta has an area of 12.5 hectares (125,000 square meters), a vast area of construction, rich land and abundant water, and is in good working condition and habitability. The main house, with a useful area of more than 400sqm, has 5 bedrooms, 4 bathrooms, living room, dining room, three fireplaces and kitchen. It also has an independent apartment with a large bedroom, fireplace, bathroom and kitchen – space that currently serves for games, home of snacks and support to the pool. In a second block, the Quinta has an old wine cellar, which has been transformed into a large dining and convivial space, equipped with a kitchen, fireplace and two bathrooms. It has a home for homemade, with living room, kitchen, three bedrooms and bathroom. The Quinta has several other functional spaces, such as laundry, locker rooms, garage, wood-burning oven, workshop, shelter of agricultural machinery and various facilities. Next to an old tree, the Quinta, which has already served for the breeding of horses, has several boxes and a small set of Picadeiro. For sports enthusiasts, there is a tennis court, ample lawns and beautiful hiking and/or horseback riding routes. The Quinta has hundreds of trees, including a well-organized pine forest, a hundred old olive groves, an orange orchard, walnut, peach and other fruit trees. At this time, the area of open land available for pastures and/or cultivation is about 10 hectares (100,000sqm). It is worth mentioning that the Quinta is forbidden practically to 100% and that almost all areas reserved for pastures are stopped. Thanks to a relatively recent hole and old Wells, the Quinta has more than enough water for all domestic and agricultural consumption, including the watering of all fields. 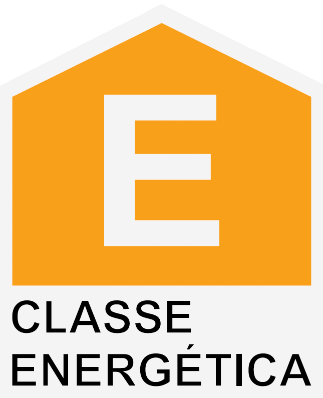 Electricity is provided by EDP, but the Quinta has excellent natural conditions for the use of solar energy. There is easy hiring of manpower in the village of Pontével and in the neighboring villages.